U.S. Games Systems, Inc. is proud to reproduce this important deck of playing cards from America’s past. The 1864 Poker Deck is faithfully reproduced from an authentic Civil War era Poker deck. 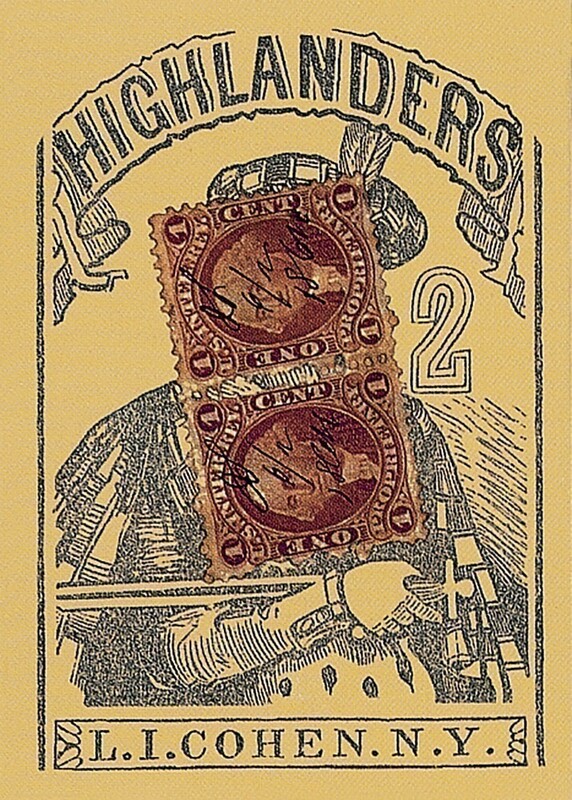 As with the original 1864 Highlander deck, the cards in this 55-card deck have square corners. 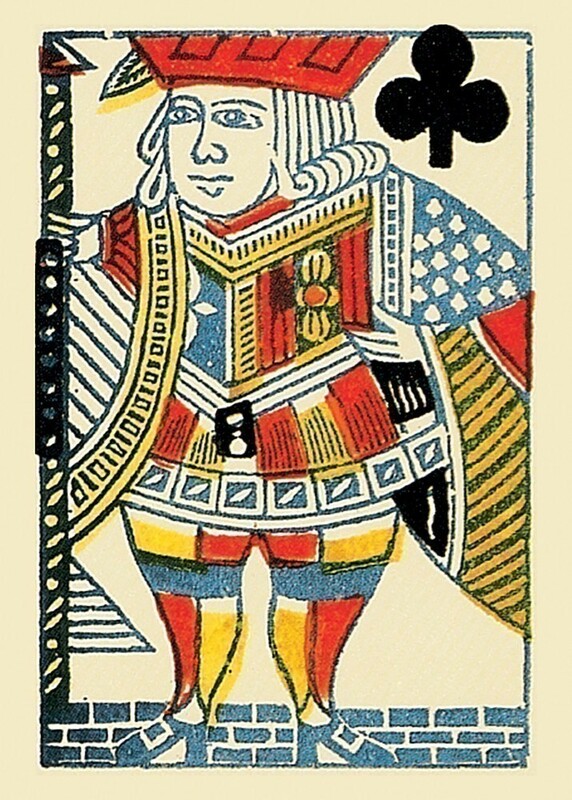 The deck has full-length, single-ended court cards. The box features a reproduction of the original tax stamps with hand cancellation dated June 2, 1864. The deck includes two informational cards, which provide a brief history of Early American Playing Cards. 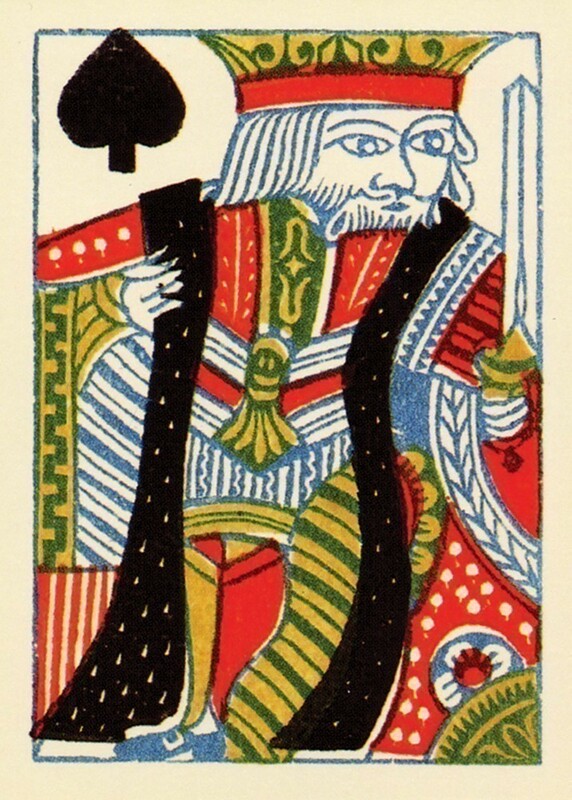 An additional card presents the original blue Ace of Spades with an eagle beneath 13 stars and the name L.I. Cohen on the bottom. Perfect for Civil War re-enactors and history buffs. This is a real sturdy and attractive deck for professional readings. The card stock is nice and thick; these are not fragile cards. Fortunately, for they are very handsome! Historical decks have a special place in my world, and I recommend this deck highly for its appeal both visually, historically, and its versatility. What I find especially appealing visually are the gold foil outlines on all the cards; each pip and court card has a striking amount of bling. Card corners are not rounded. 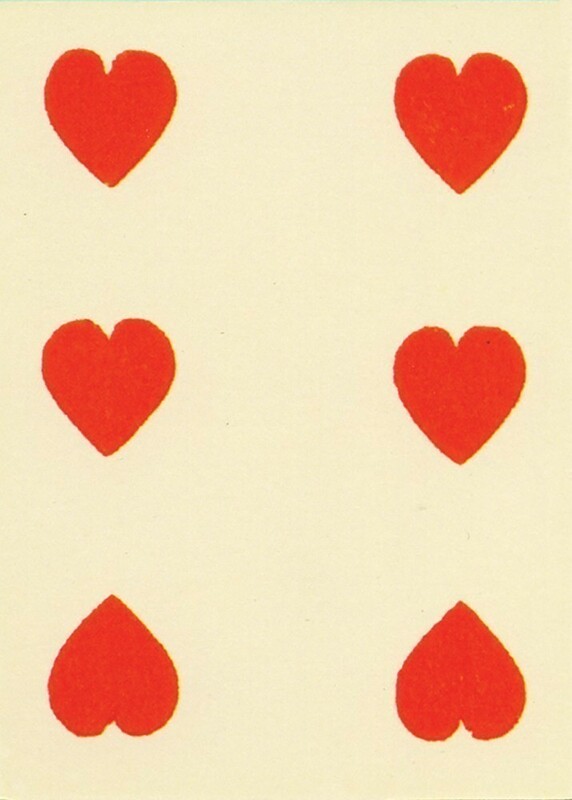 Notice that the cards do not bear indices in the corners: there is no '6' on the six of clubs, no 'A' on the Ace, etc. While for certain styles of gaming that may prove inconvenient, I find that it does not encumber most types of games that I play, and for divination it poses no problem whatsoever. Additionally, the court cards feature full-bodied people rather than the standard mirror-image, two-headed figures in modern playing cards. Since I use the same cards for gaming as divination, I find these cards to be off my shelf repeatedly for either a game or a reading. I just received the cards, and I am very impressed with the quality of the reproduction of the artwork, as well as the stock and finish. It mimics the card stock that was used in the historical deck as well as the artwork. Also, the information card is very informative, and adds to the card's overall appeal. This deck is just all around a great replica deck. My boyfriend commented that he always wanted some Old West style playing cards while we were watching Westworld, so I ordered them as a surprise while we finished the episode. He loves them. Very cool cards. I couldn't pass up adding this little gem of history to my collection. It is nice to see that even the package is reproduced in period correct authenticity.